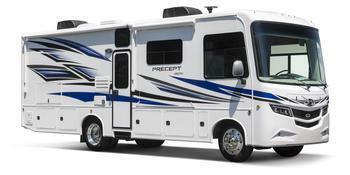 Jayco is recalling 24 model year 2019 Jayco Precept and Precept Prestige motorhomes built on a Ford chassis and equipped with 22.5 inch front wheels. The front wheel hub assembly may have wheel studs that were not properly heat treated. Ford will notify owners, and Ford dealers will inspect the front wheel hub assemblies and studs, and replace the studs as necessary, free of charge.